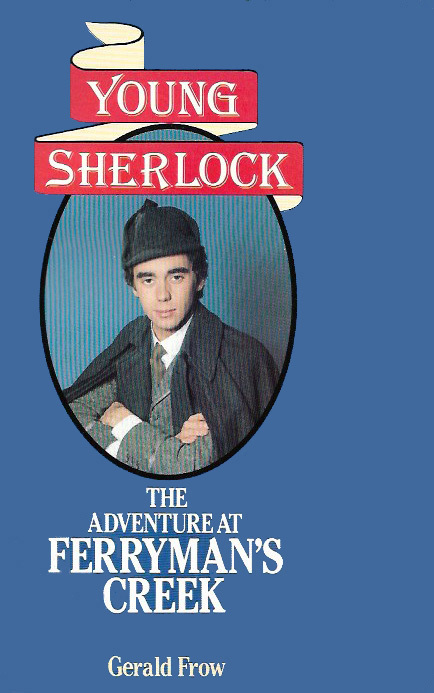 Novelization for the never produced second Granada mini series about the young Sherlock Holmes. Click for the first adventure: The Mystery of the Manor House. On the morning of his eighteenth birthday Sherlock Holmes receives a brief and mysterious letter from his brother Mycroft, suggesting a short holiday on the Lincolnshire coast and hinting at the possibility of adventure there . . . The young detective is soon embroiled in a tangle of sinister occurrences which it takes all his wit and ingenuity to unravel. Who is the mysterious Martin Ashley and why does he always wear a glove on his left hand? Are Ashley's disappearance and the chain of near-disasters which follow it connected? Can it be that the ancient legend of the Thoresby-le-Marsh is coming fatally true once more? This is the second exciting Young Sherlock novel by Gerald Frow.